Is a drop in profits a time to panic? If your profits are down, don’t panic. Your financial statements can help you detect clues to solve the mystery of your disappearing profits. If these ratios are declining, investigate to find the cause. If the whole industry is suffering, the decline is likely part of an external trend. If the industry is healthy yet your company’s margins are falling, perhaps management has lost its control of costs — or maybe vendor or receivables fraud is to blame. To find the root cause, it’s often helpful to study the main components of the income statement. Revenue. If the top line (gross sales or revenue) has declined, your overall profit margin may fall because there is less revenue to spread fixed costs over. To determine if this trend is company-specific or industrywide, look at revenue trends of public companies in the same industry. Also, monitor trade publications, trade associations and relevant online sources for information. Overhead is mostly fixed and shouldn’t significantly increase unless the company has made changes (for example, purchased new equipment, changed its depreciation policy, or relocated its production facility). Examine those elements to determine whether overhead is increasing or decreasing and how the ebb and flow applies to the gross margin (revenue minus cost of goods sold). 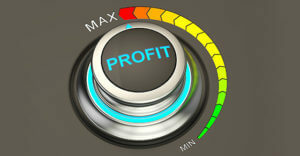 Your financials are your best source of information to find the reason for declining profits. Need help solving the mystery of your disappearing profits? Our team of Ciuni & Panichi, Inc. auditors have been providing business advisory services for 45 years. We can help you identify problem areas and find solutions to get your performance back on track. Contact Brett Benjamin, Audit and Accounting Manager, at 216-831-7171 or by email here. Selling your business? This checklist might help.